Last year, Dutch airline KLM’s social media presence took an unexpected detour onto the messaging platform WhatsApp. The effort gave 100 members of the airline’s Flying Blue frequent-flier program the opportunity to use the app to ask airline reps service-related questions about booking requests, updates and seat selection. The decision to engage with its customers with mobile messaging was made because of the app’s increasing popularity. "We see people moving from traditional social media platforms like Facebook and Twitter to new platforms, such as WeChat in China and WhatsApp," airline spokesman Joost Ruempol told USA Today. KLM isn’t alone in noting the migration. A recent eMarketer report estimated that there are 1.4 billion people on mobile phone messaging apps. By 2019, the figure is expected to be 2.19 billion, about the same amount of people on social media today. For marketers, that’s largely unexploited territory since conversations there are happening off the grid in what The Atlantic has termed "dark social" media that isn’t measurable the way, say, Facebook and Twitter are. The two biggest messaging apps — WhatsApp and Facebook Messenger — are ad-free zones, but brands are free to set up accounts to chat directly with consumers. With so much consumer traffic involved, Messenger is unlikely to stay that way. Facebook has indicated that it’s interested in monetizing the app at some point via advertising. (The social media giant has been mum about doing so with WhatsApp.) Even if WhatsApp and Messenger never do become ad platforms, they are likely to evolve as hubs for brand-based services and can provide invaluable data about what consumers are interested in and what they’re buying, which would help fuel Facebook’s advertising. Either way, messaging apps are likely to become more top of mind for many brands. 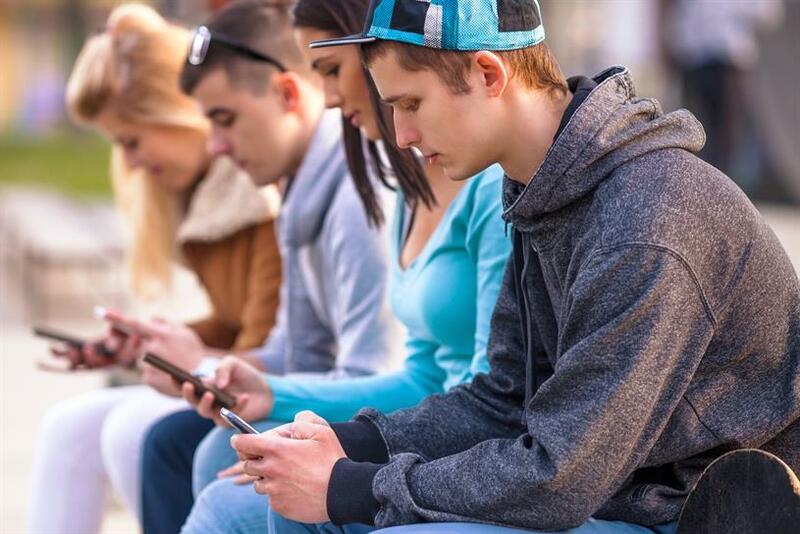 A recent study by Frank N. Magid Associates, for instance, found that young Americans are spending as much time or more on messaging apps than social networks. A GlobalWebIndex survey found that one-third of Millennials use WhatsApp or Facebook Messenger. Brands like KLM have been experimenting with WhatsApp for a few years now on a small scale way. In 2013, Absolut used the platform to tell some 600 fans about an exclusive Absolut Unique launch party in Argentina. Those interested in attending had to convince a brand-employed virtual bouncer named Sven to put them on the guest list. And Clarks, the British shoe brand, used WhatsApp to promote its Desert boot in a campaign that let fans connect to three brand-created characters representing subculture movements that adopted the shoe as part of their look. As these efforts illustrate, penetrating messaging platforms requires some new thinking. "Currently, the main opportunity is through things like campaign GIFs, stickers and bitmoji, but we expect brands are going to get far more integrated," says Tom Hyde, social communications strategy director for Droga5. "Social profiles are becoming the new apps, and chat the primary interface," he says. Cathy Boyle, an analyst with eMarketer, says one reason that advertisers have been slow to adapt to messaging is that the industry is lacking traditional IAB-style ad formats that dictate ad dimensions and file sizes. "Messaging apps have unique ad formats — mostly ads that are native to their messaging environment — and because of that, advertisers can’t easily extend campaigns to include messaging apps without developing unique creative assets," she says. In addition, it’s hard to identify the right metrics to determine if the campaign has been a success. Boyle predicts that in 2016 that Facebook will begin monetizing both WhatsApp and Messenger, however, "I don’t expect to see ads take the shape of those we currently see on Facebook’s social-networking app." A more likely path, she says, is that Facebook will begin following other successfully monetized messaging apps, including Line, WeChat, Snapchat and Kik, and charge for stickers, emojis and sponsored accounts. In other words, Facebook’s plan is to let users do pretty much any transaction they can do online or via mobile on Messenger, including book a flight, get movie tickets or get a table at a restaurant. Facebook isn’t the first to offer such services. Tencent’s Weixin, the Chinese version of its WeChat app, offers the same services and more to its 600 million monthly users. And consumers can order an Uber via Messenger, get Domino’s pizza via SMS and get style advice via Kik. To make Messenger even more central to such activities, Facebook last year introduced M, a platform that users can control via their voice a la Apple’s Siri. For Facebook, such an app could be a sort of next-generation search engine. If you buy a movie ticket via Messenger, Facebook will know the sort of movies you like and serve up ads accordingly. It’s unclear how WhatsApp fits in to this plan. When Facebook bought WhatsApp for $21.8 billion in 2014, it said it would not use WhatsApp as an ad platform. Such thinking was in keeping with the wishes of the messaging app’s founders, who have expressed an aversion to advertising in the past. "There might never be an ad in WhatsApp," says Jonathan Anselmo, president of strategic digital services at Omnicom Media Group. "But Facebook might take data from it and use it for targeting on all their different platforms." Despite such concerns, Thomas Husson, vp and principal analyst for marketing and strategy at Forrester Research, says he thinks that "in the longer run" WhatsApp will wind up running some ads, but the main focus will be to make Messenger a hub for business activity. Facebook started moving Messenger in that direction last March when it announced Businesses on Messenger, which lets brands provide customer service via Messenger. A consumer might use Messenger to get an update on the status of a shipped item, for example. Scott Nelson, head of North America for Viber, another messaging app, agrees that messaging may not fully evolve as an ad medium. "Mobile messaging apps are a place for consumers to connect and share with their friends and families. Direct advertising can sometimes be disruptive to the user’s overall experience," he says. "However, messaging apps are transforming into marketing and e-commerce platforms." Until Facebook sets up Messenger as a commerce destination, Husson says brands have a great opportunity to follow their customers onto messaging apps. For its part, KLM has claimed success with its WhatsApp program and is looking into expanding its efforts there. "For brands, I think the opportunity is primarily to be present in the mobile moments of their customers," Husson says. "With the messaging apps, mobile is the new face of social." Wait, Twitter has an 'Instant Win' function?